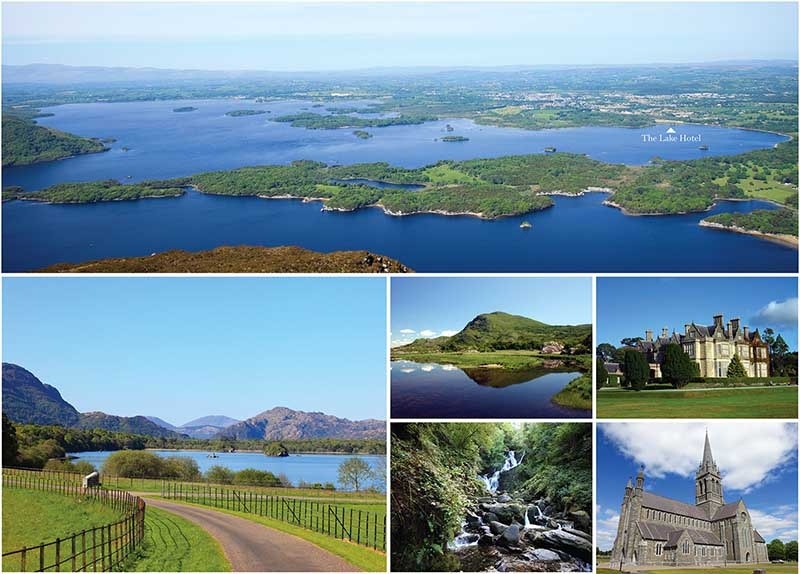 The town of Killarney is set on the Ring of Kerry which is a world famous touring route celebrated for its scenery. The day trip of the Gap of Dunloe can start and finish at the hotel's private pier and takes in a boat trip on the lakes in addition to the pony and trap journey through the Gap itself. Slea Head and Dingle are only an hour’s drive to the north-west of Killarney and the drive to Dingle is in itself a reason to take this trip. The charming town of Dingle and the rugged majestic landscape of Slea Head would take your breath away, a world apart from the lush, verdant beauty of Killarney and the lakes. We are happy to provide local maps and recommend routes and refreshment stops to our guests. Packed and picnic lunches can be organized for small or large groups with advance notice. Information on day trip operators, timetables and costs are all available from Hotel Reception.